Donald 'Spud' L. Davis was born on December 13, 1943 in Calhoun Co., Florida and died on February 28, 2009 in Blountstown, Florida. He lived to be 65 years old. He worked in construction and was owner and operator of his own lawn service. 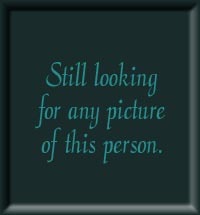 Mr. Donald L. (Spud) Davis, 65, of Blountstown, FL, passed away Saturday, February 28, 2009. 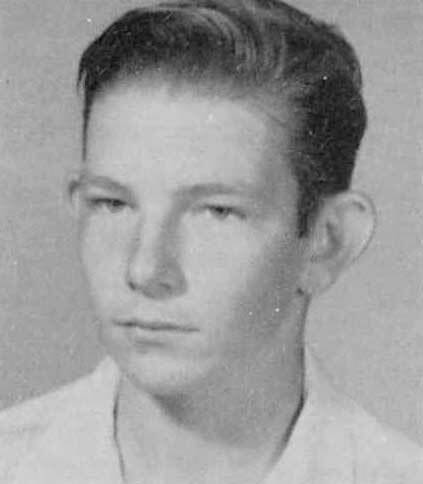 Spud was born on December 13, 1943, in Calhoun County and had lived here all of his life. He worked in construction and was owner and operator of his own lawn service. Spud was a 1961 graduate of Blountstown High School. He was preceded in death by his father, John Elton Davis, and a son, Jeffery Donnell Davis. Survivors include his mother, Ida Lee Davis, of Blountstown; one daughter, Lisa Ross, of Woodville; one brother, John Davis, and his wife, Dottie, of Kinard; two grandchildren and one great-grandchild. Funeral services will be held Thursday, March 5, at 11:00 a.m. (CT) at Peavy Funeral Home Chapel with Rev. Dan Yoder and Mr. Virgil Mayo officiating. Interment will follow in the Nettle Ridge Cemetery in Blountstown. The family will receive friends Wednesday, March 4, 2009 from 6:00 - 8:00 p.m. at Peavy Funeral Home. All arrangements are under the direction of Marlon Peavy at Peavy Funeral Home in Blountstown. 63 2006 December 1, 2006 - United States manufacturing capacity and esteem wanes, signalled by the sale of the last shares of his General Motors stock by U.S. billionaire Kirk Kerkorian. 65 2008 A major financial crisis and recession begins in earnest. 65 2008 October 3, 2008 - The United States Congress passes legislation, signed by President Bush, for a $700 billion bailout, the Emergency Economic Stabilization Act, giving the Treasury Department authority to assist distressed Wall Street and banking businesses of the United States due to the housing, banking, and subprime mortgage crises caused by excessive greed and speculation among Wall Street firms. This economic distress, coupled with oil prices above $140 per barrel during the summer, deepened the world economic crises that had been brewing all year. The bailout was supported by current President George W. Bush and both presidential candidates, Barack Obama and John McCain. 66 2009 October 31, 2009 - The economic recession continues to deepen as jobless claims climb above 10.0%, reaching 10.2% with October's monthly figures. This occurs despite efforts by the Obama administration to ramp up massive government spending pushed by the $780 billion economic stimulus package passed earlier in the year. 66 2009 Health care reforms initiated by the new US President, Obama, gives birth to the 'Tea Party' movement. 63 2006 February 22, 2006 - In a continuing shift of the retail industry to new platforms, the one billionth song is downloaded from the internet music store, Apple iTunes. This shift comes at the expense of many brick and mortar chains, including Tower Records. The trend of purchasing items via the internet, instead of local stores, continues to grow. 64 2007 January 10, 2007 - President George W. Bush announces a troop surge of 21,500 for the war in Iraq to stem the violence at the request of new commander General Petreus. This controversial policy begins to show positive signs once fully implemented during the summer months, with a reduction in violent attacks against coalition forces and Iraqi civilians. Progress on the political front within the Iraqi national government, however, does not keep pace with positive developments on the military front. 64 2007 The world climate and ocean temperatures continue to rise. Both polar caps are shrinking at a record breaking rate. 65 2008 November 4, 2008 - Barack Obama, Democratic Senator from Illinois, the land of Abraham Lincoln, wins a landslide margin in the Electoral College, 365 to 173 in the election for the 44th President of the USA over John McCain, making him the first African-American president in the history of the United States of America.